NATO is establishing connections with the women's organizations of Donbas to study the situation with security of women in regions, NATO's Special Representative for WomenPeace and Security Marriet Schuurman has said. "We, in fact, are already involved in cooperation with women's organizations in Donbas. 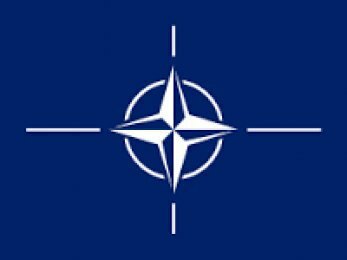 We are extremely interested to find out what kind of problems there are with regard to security and what help they need today from NATO and member countries," Marriet said at a press conference in Kyiv on Thursday. Deputy Defense Minister of Ukraine Ihor Dolhov said the issue of cooperation in gender policy is a component of Ukraine's National Action Plan on the implementation of UN Security Council Resolution No.1325. "We must think how to make life easier for 1,700 million of our citizens who are forced to leave their homes. There are more than 1,100 million of women and children who require the special treatment," deputy defense minister said. He also informed that currently there are about 50,000 women working and serving in the Armed Forces of Ukraine. "As of June 1, 2016 there are 49,552 women who are serving and working. Among them, there are 17,147 of military personnel (8.5% of the total), including 2,092 officers, 14,607 soldiers and sergeants (9.4%), where 32,405 women are holding civilian positions," Dolhov said.